The fruit is very health-promoting and has amazing effects. By purely natural ingredients, fish develop a naturally strong, intense staining. 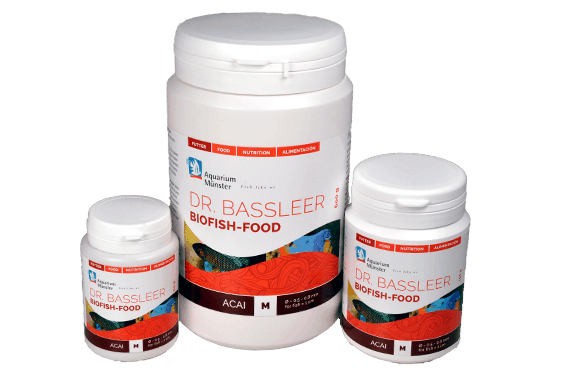 Feeding with DR. BASSLEER BIOFISH FOOD ACAI leads to more success in breeding fish. DR. BASSLEER BIOFISH FOOD ACAI is offered in the different granulate sizes M, L, XL and XXL. The granulates in smaller pellet size M sink slowly, thus providing nutrients to all three water zones. This gives surface feeders, fish in the middle zone as well as bottom feeders alike a fresh and balanced diet.